Mitata is centrally located on Kythira. 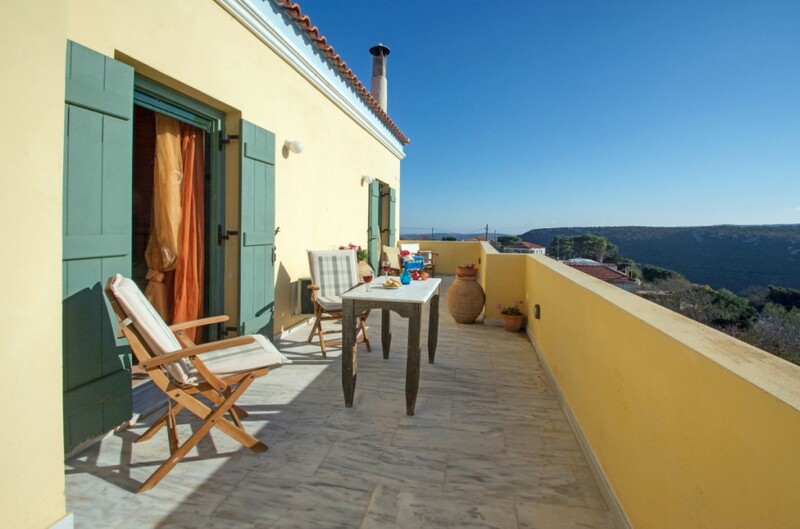 The islanders also call Mitata ‘Kythira’s Balcony’ because of the breathtaking views from its square over the green valley to Viaradika Village, the ‘Dog and Cat’ Caves and the impressive Paliokastro hill. 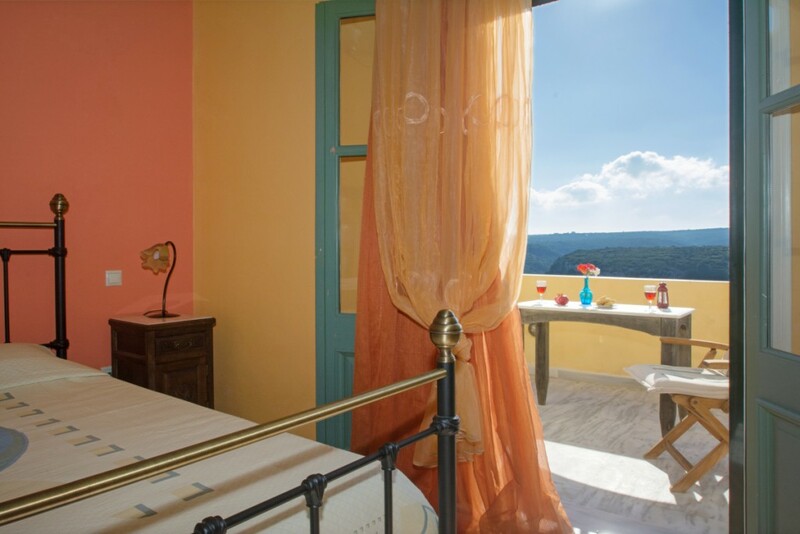 Guesthouse Aplynori is at the edge of the village with views of the hills towards Kypriotianika. 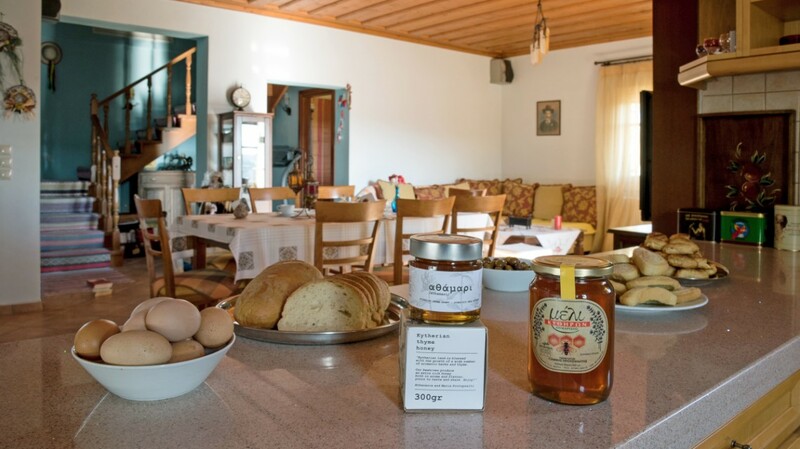 Owner Yannis Protopsaltis is actually a beekeeper. 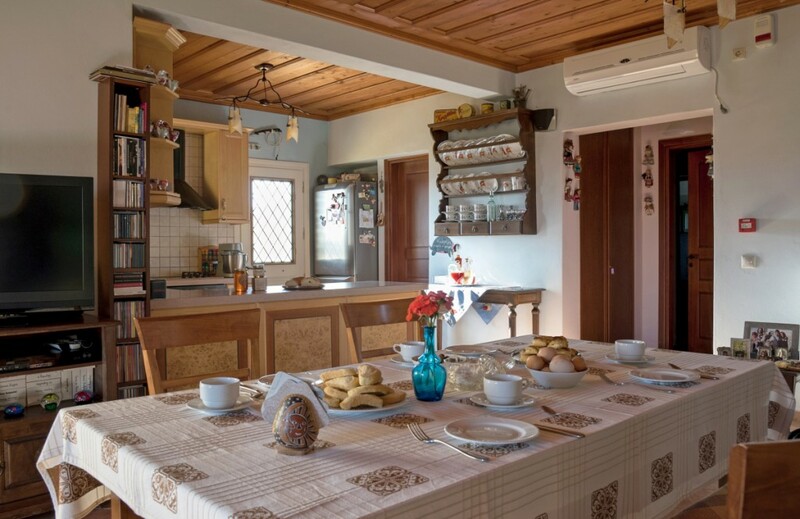 In order to give his visitors and guests an extra welcome, he started this guesthouse a few years ago, together with his wife Eleni and daughters Athanasia and Maria. A small and interesting ‘bee museum’ is in the basement, where Yannis will show some of the traditional artefacts. 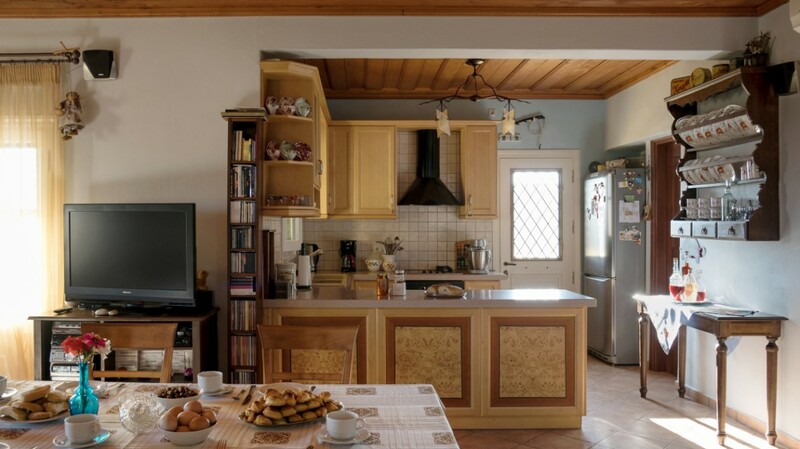 You will feel at home from the first moment you meet the Protopsaltis family. It goes without saying that you will have the daily opportunity to taste their most delicious thyme honey. 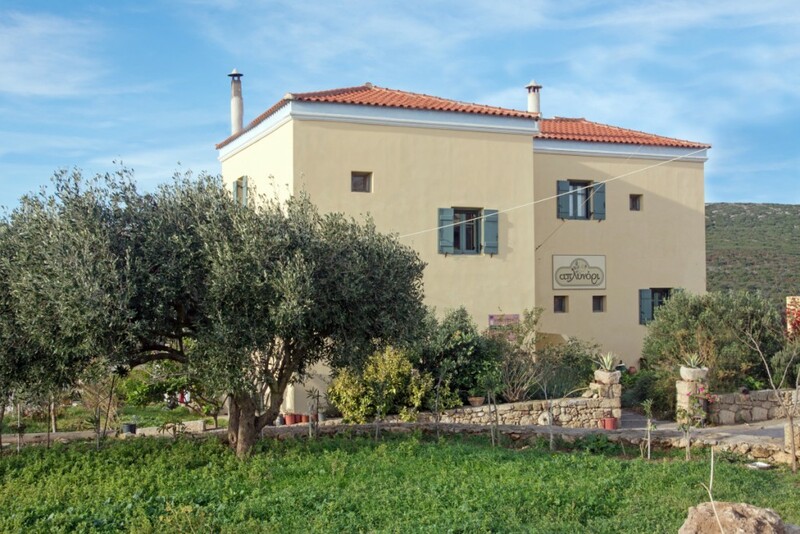 Yannis will be happy to guide you through his historical village with its nearby caves. 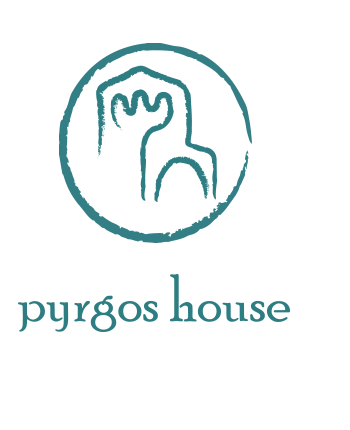 And if you would like to find out more about bees and their honey, join the Pyrgos House ‘Thyme Honey Bee Excursion, led by Yannis. 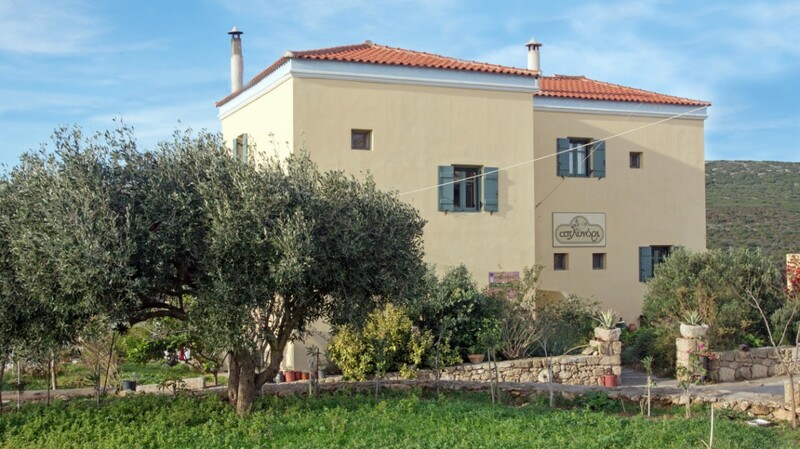 A short walking distance from Aplynori you will find Michalis’ taverna and a kafeneion/grocery shop. The nearest beach is just 10 minutes away by car. 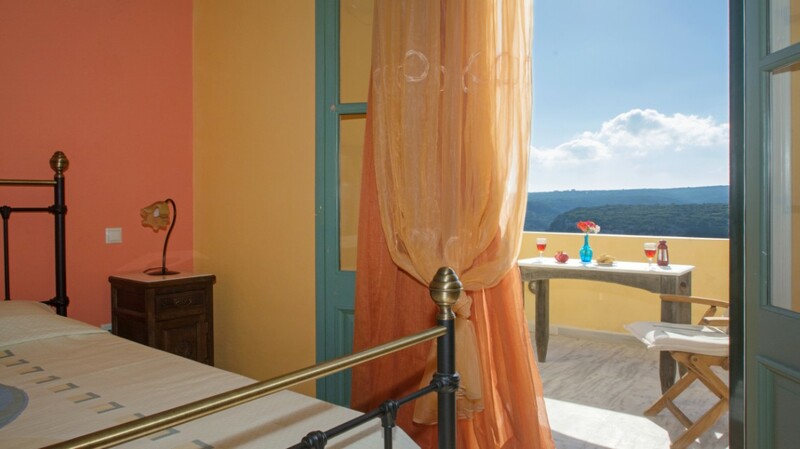 Guesthouse Aplynori is surrounded by a green and flowery garden. 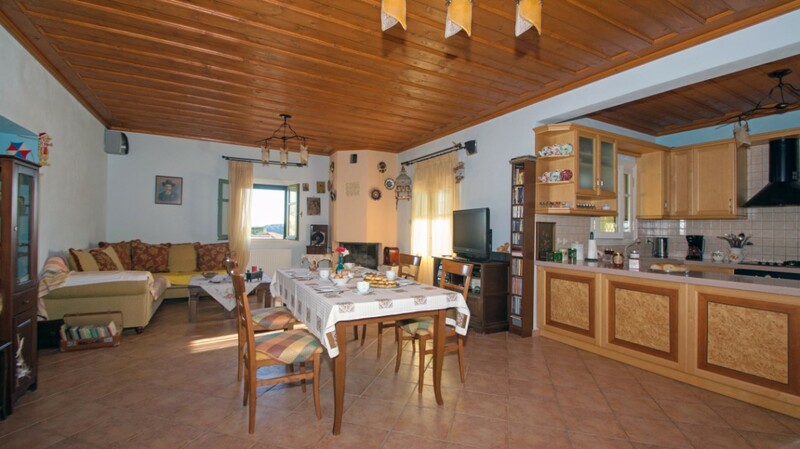 The guesthouse’s heart is the spacious and cosy communal living room with a large open plan kitchen which is fully equipped. From the living room you enter the balcony where you can spend relaxing hours in the afternoon sun. The communal kitchen is completely at your disposal. 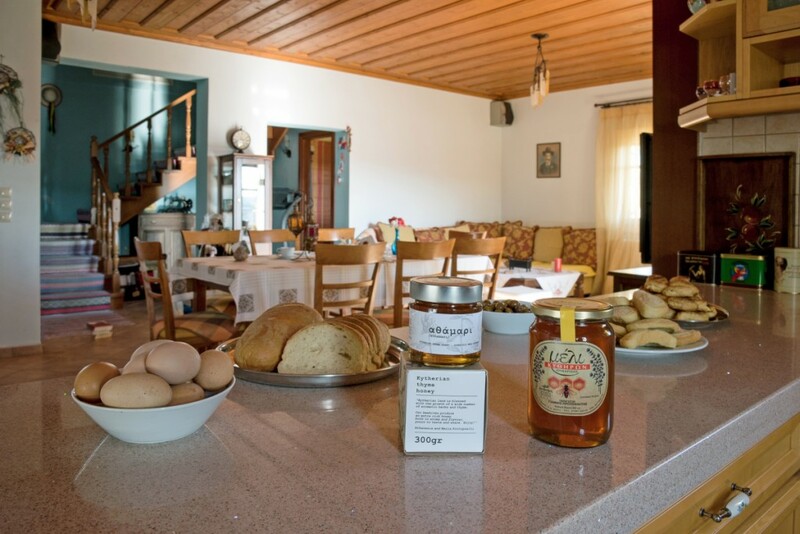 Here you can taste paksimadia – Kythirians olive oil rusks – and, of course, Aplynori’s thyme honey. 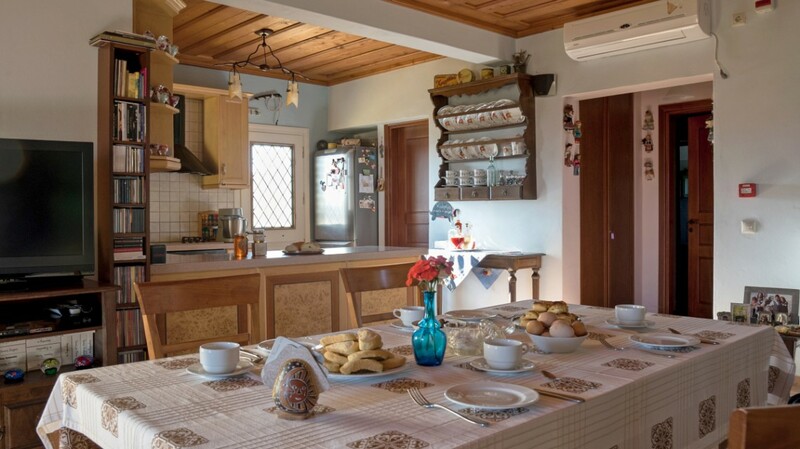 If you like to cook, you can use vegetables and fruit from the Protopsaltis’ own organic garden. 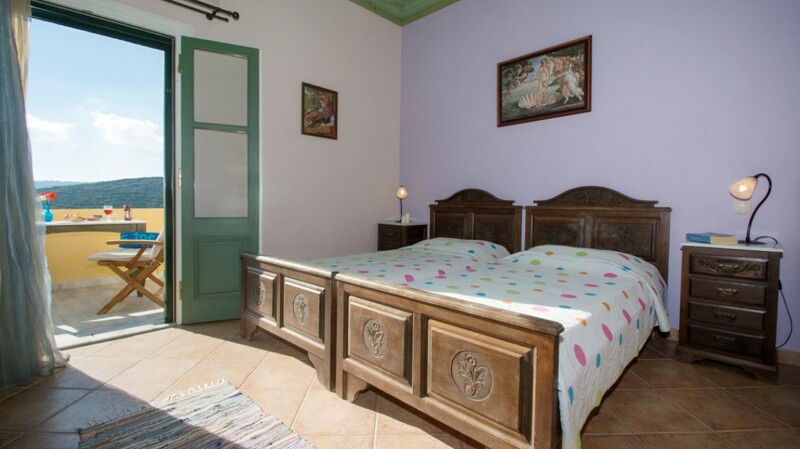 Aplynori has in total five double rooms – three on the first floor, two on the ground floor. 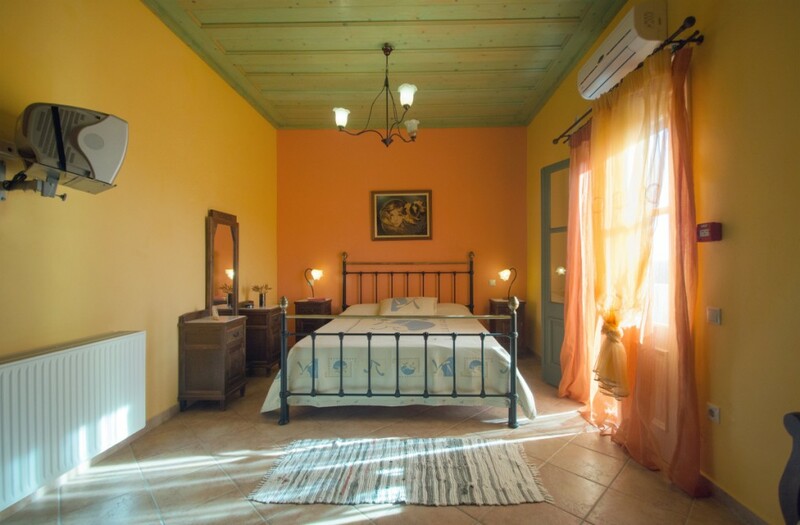 All rooms have a private bathroom with shower, wash stand and toilet (one room has a bath). 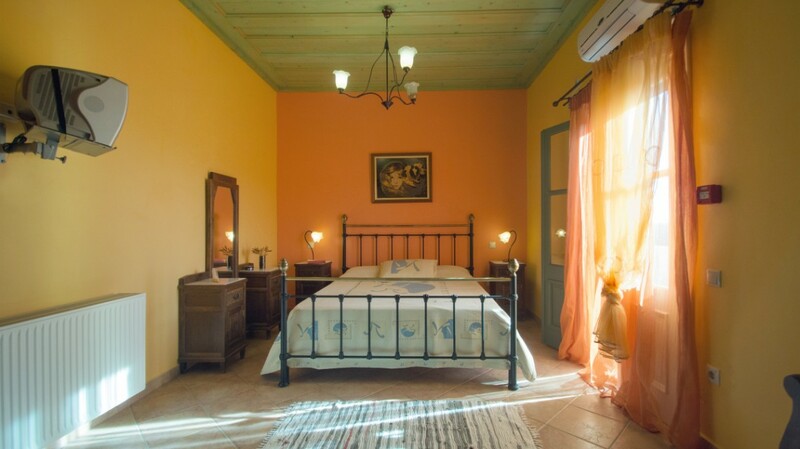 Most rooms have two single beds. 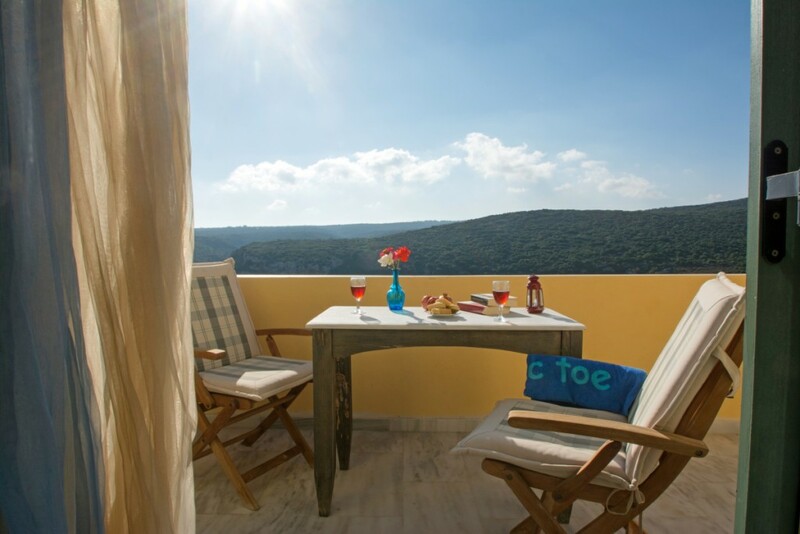 The rooms on the ground floor use the communal balcony, accessible from the living room. 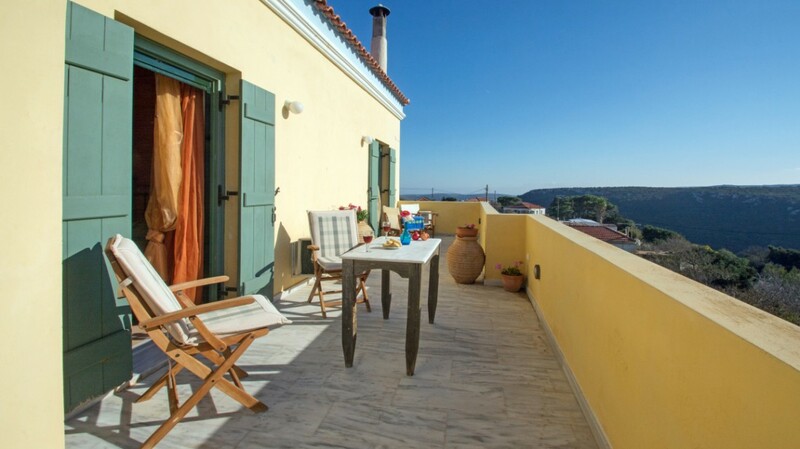 The balcony doors in each of the three rooms on the first floor give access to a very spacious veranda which is also for common use. 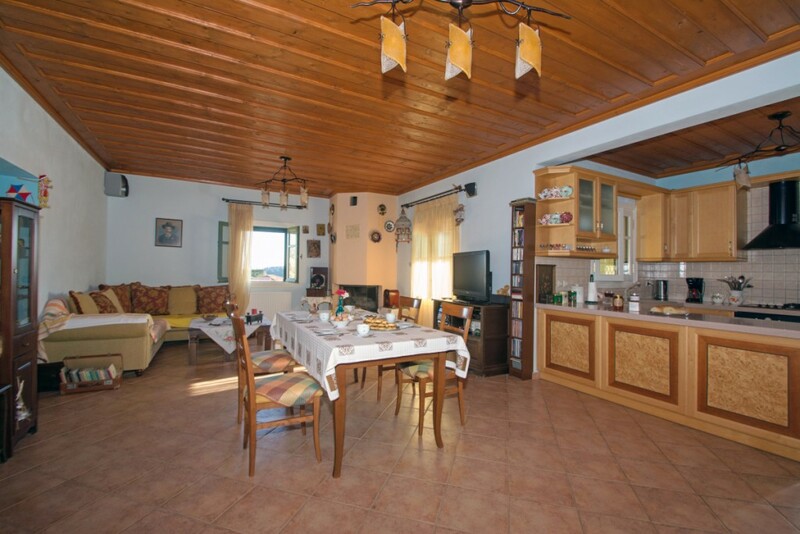 In addition to this, two rooms on the first floor are connected to each other and can therefore be used as a 4 person apartment. 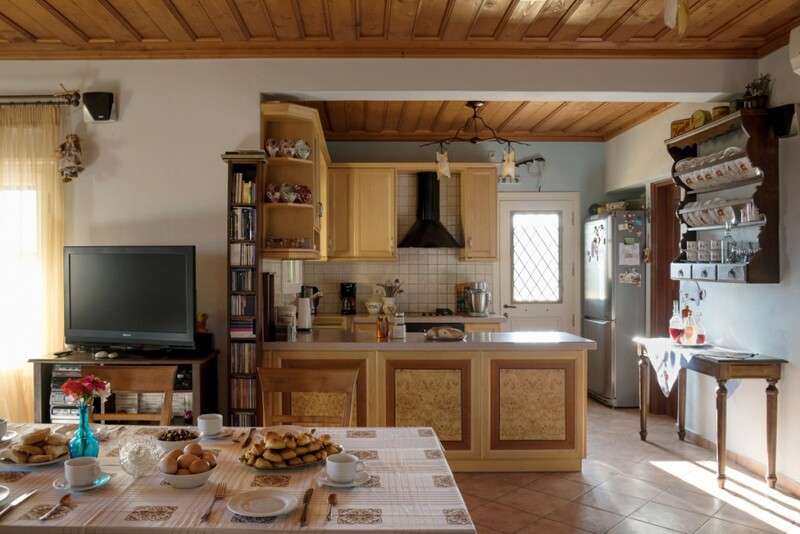 Guesthouse Aplynori is also very appropriate for larger families (maximum 10 people). We are happy to discuss all the possibilities. Central heating (in every room) and the traditional fire place in the living room make your stay in wintertime very comfortable. Cleaning is on a daily basis, with change of bed linen and towels twice a week.